It’s the time of year that we all love. Christmas trees and multi-colored lights are going up, cinnamon and mulled cider candles are being lit, and Frisco Square is inaccessible on weekend nights due to minivan traffic. There’s even a coffee shop in Dallas that has changed its name from “Fiction Coffee” to “Deck the Hall Street” just for this month. What you might not know is that many musicians dread this time of year. Why? It’s because those Christmas carols have way too many chords (more than 4) and it’s impossible to memorize songs that are only played in December. 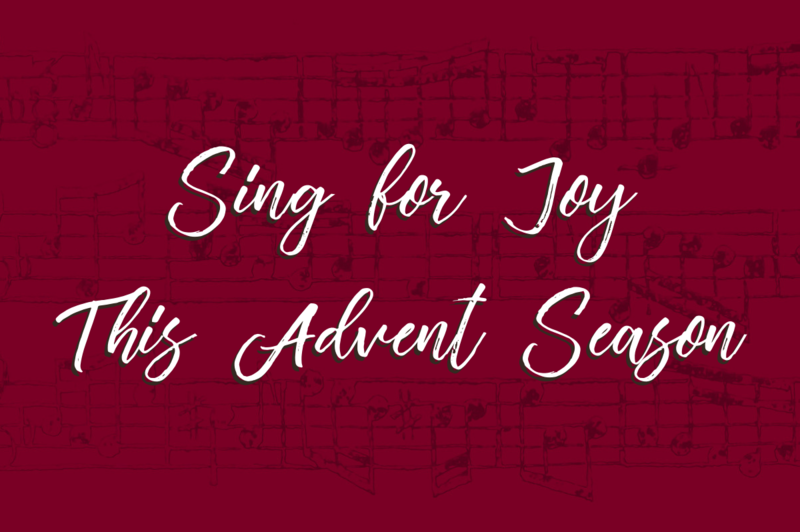 In the middle of the holiday-hype and musician-lament, our church gets to be centered on the joy of singing biblical Advent songs. As Providence musicians, we promise to learn all of the Christmas chords (it’s our pleasure), if the whole church agrees to sing these songs passionately in Spirit and truth! Why are there so many movies about Santa Claus, Frosty, and Rudolph? Why do these movies cycle through the same 1950’s-era Christmas songs? It’s because the world longs for joy and they are trying to find that joy in family traditions, gifts, and nostalgia. During Advent, the church gets to show the world where true joy is found. Jesus is the “joy of every longing heart” (John 15:11). The Bible is full of imagery. We see it in the Psalms, the wisdom books, Revelation, etc. Too often our worship songs fail to reflect the beauty of the Bible. I love the imagery of this line from “O Come, O Come Emmanuel,” but I also love the musical imagery found in the song’s chords and the melody. This is the only song we’ll sing this month that is in a minor key (the key of E minor). As we sing it, may we remember how Israel longed for the advent of Emmanuel (Isaiah 7:14), may we rejoice that God kept his promise to ransom his people from the captivity of sin (Matthew 1:21-23), and may we also remember that we are still longing for a second advent (Romans 8:23). If you were at Providence on December 2, you heard Afshin preach about this truth from Galatians 4. When God calls us “sons,” he is saying that every believer—men and women—is a co-heir with Christ. Jesus didn’t just come to Earth to show us how to live moral lives. He came to give us his inheritance. We were born as enemies of the Father (Romans 5:10). In Christ, we are re-born as heirs to the Father’s kingdom (Galatians 4:1-7). Many Decembers ago, I was standing in the “Religion” section of a Barnes & Noble in Houston, TX when I was greeted by a man who was of the Bahá’í faith. At the time, I didn’t understand that Bahá’í is the most “politically correct” religion. They agree with everyone, so when I told him that I was a Christian, he said, “Oh I love Jesus. Jesus is my lord.” He also admitted that Buddha and Allah were his lords. He seemed eager to understand, so I grabbed a Bible from a nearby shelf and turned to John 1. I showed him that “In the beginning was the Word, and the Word was with God, and the Word was God (John 1:1)” and then John 1:14, where it says “the Word became flesh.” The Bahá'í man invited me to his house, where we talked further and exchanged books. He didn’t become a Christian that night, but for the first time, he heard and understood what the Bible says about the incarnation. During this Advent season, we don’t just celebrate that God sent his Son to us. We celebrate that the Almighty God of the universe appeared on Earth in the flesh. O come, let us adore him! 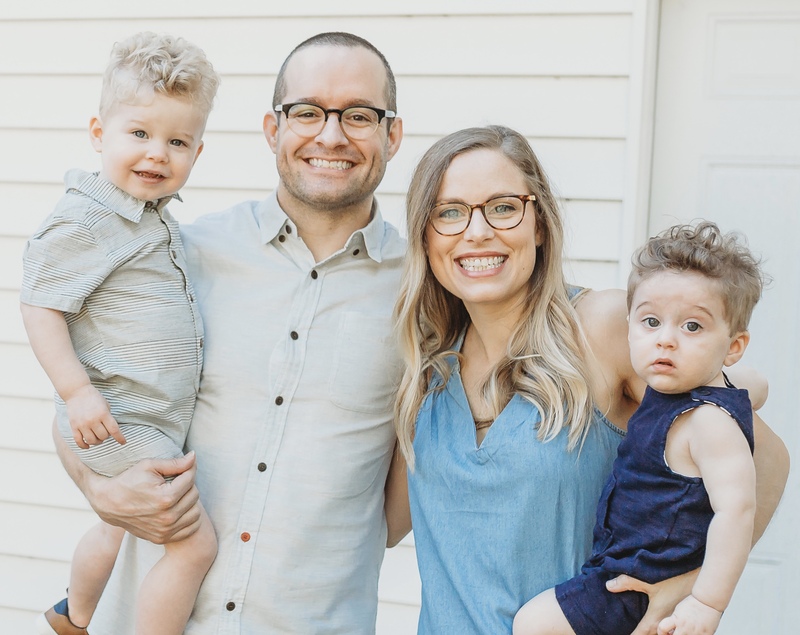 Logan Walter became the Director of Worship at Providence Church in September 2018. He and his wife, Maddie, have a 2-year-old boy, Simon, a 1-year-old boy, Clark, and a daughter due in February 2019. The Walter family roots for Dallas pro sports and Baylor college sports. Go Cowboys, go Rangers, go Mavs, go Stars, go FC Dallas, and sic 'em Bears.